Traveling worldwide as the President and CEO of Pure Science International, from time to time while in a particular country or region I come across products that although simple in nature or formula can be impressive in one way or another. While in Southeast Asia I was introduced to a 600 mg version of glutathione. 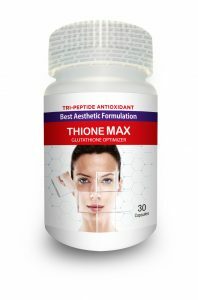 The product ThioneMax is sweeping the country of Pakistan capturing a very product savvy portion of their marketplace. Now why am I doing backflips down the hall for a glutathione product that is common around the world? BN Labz of Pakistan, a leader in the development and distribution of state of the art skincare products, designed this product utilizing a proprietary delivery system. So big deal. Well with my own eyes I saw amazing results utilizing a product (ThioneMax) that helps lighten the skin from the inside out. That coupled with the use of our Clear Beauty™ Intensive Dark Spots and Brightening Correcting Cream which helps lighten the skin from the outside in, the results have been jaw dropping. We are proud to have BN Labz as our distributor and indeed a partner for success in Pakistan and parts of Southeast Asia. This entry was posted in Article and tagged dark spot. Bookmark the permalink.